If, as a writer, you’ve ever received a rejection letter (and who hasn’t), it can be a real downer. Almost as deflating is the polite and encouraging letter that states, “You almost made the cut. Send us more.” Almost? We all want acceptance letters for our work. But what if, after receiving an acceptance letter, the seeming success turns to disaster? 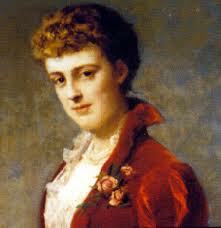 Edith Wharton explored this idea in her short story “April Showers,” first published in The Youth’s Companion in 1900. “April Showers” is romantic and sentimental and sad, about a young woman’s passage into the real world. The story seems to equate the term April showers with bad news. The life message? Don’t get discouraged. If life does rain on your parade, take heart. Keep trying. Stay strong. 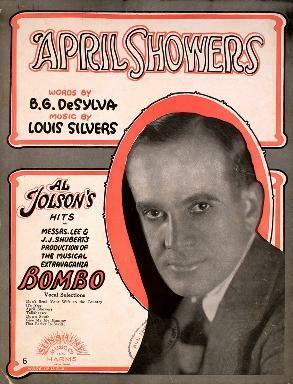 Comparing the story and the song, the term April showers emerges as both a sad omen and a hopeful sign. And then there’s April Fool’s Day. A time for tricks and jokes. A time for a sense of humor. A time when someone sticks a Post-it on your back with “Kiss me” or “Hug me” or “Pinch me” written on it. The fun is a way to celebrate the end of winter … a rebirth or new beginning. April becomes a happy sign. In keeping with being positive, April has events such as Easter and Passover. There’s Earth Day and Arbor Day. There’s National Poetry Month and Teacher Appreciation Week. The success of the Salk polio vaccine was announced in April 1955. Right now, the front door leading into the courtyard is open. It’s quiet outside, except for the birds. They are singing. April is bringing spring into full gear after its March debut. Finally, let’s not forget about April birthdays. Happy Birthday to you who made your debut in April. Your birthstone is the diamond. Not too shabby. 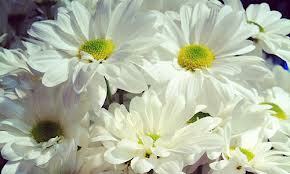 Your flower is the Daisy or the Sweet Pea. And, speaking of April birthdays, this blog is one year old today. Thank you, readers, for joining me! As we go into Year Two, more to come! This entry was posted in Authors, fiction writing, Inspiration, Reading, short story, Writing and tagged "April Showers" - the song, "April Showers" by E. Wharton, April events, April Fool's Day, birthdays, daisy, diamond, Edith Wharton, Encouragement, happiness, Hope, inspiration, outdoors, sweet pea. Bookmark the permalink. clouds, snow squalls, bright afternoon sunshine and ?? ?